Galeria Bergamin & Gomide presents the exhibition Estratégias Conceituais [Conceptual Strategies], curated by Ricardo Sardenberg, during the months of August, September and October 2018. By means of extensive research using documents, videos, reproduction of articles, reviews and testimonies from the period, the exhibition will shed light on a specific moment in history that resembles a lot our current times. More specifically, the increased political unrest, the resurgence of initiatives that incite censorship, the dismantling of social spaces and the breakdown in communication. Estratégias conceituais intends to give visibility to or activate art production in Latin America from the 1960’s to the 1980’s. 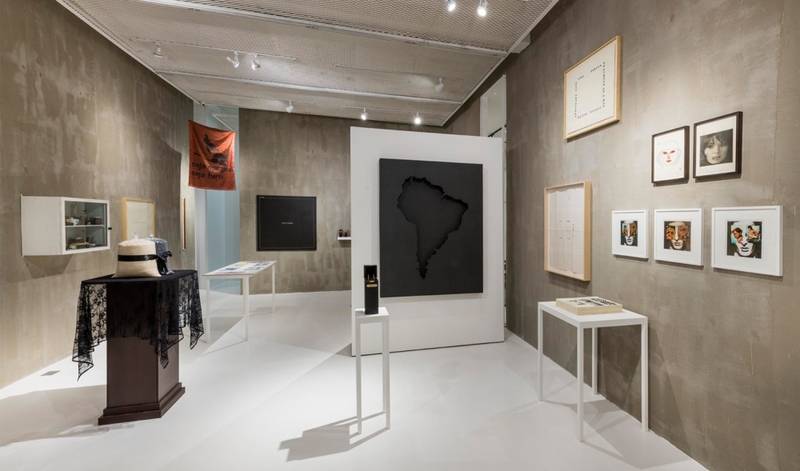 In a time of great social-economic transformation and intense political repression and upheaval, the artists of the region made use of various strategies to create new ways of producing, exhibiting and distributing works of art. Based on their local contexts (primarily with the idea of means of production within the reality of underdevelopment), they sought not only to disseminate knowledge, but also propose new ways of generating knowledge, without formalizing into a specific movement; they were known as “conceptual artists.” Fully aware of the formal strategies of “dematerialization” and of the theories of information and communication, the artists here presented introduced content such as action and strategies for political, poetic, pedagogic and communication interventions. Having different ideological origins, the conceptual strategies of that time were based first of all on local context (generally political and confrontational), then on the Latin American underdevelopment context and, finally, on a global insertion strategy. List of artists: 3NÓS3, Adolfo Bernal, Anna Bella Geiger, Anna Maria Maiolino, Antonio Caro, Antonio Dias, Antonio Manuel, Artur Barrio, Beatriz González, Carlos Zilio, Cildo Meireles, Clemente Padín, Décio Noviello, Edgardo Antonio Vigo, Eugenio Dittborn, Felipe Ehrenberg, Graciela Carnevale, Guillermo Deisler, Grupo CAYC, Hélio Oiticica, Hudinilson Jr., Ivens Machado, Jac Leirner, Jorge Caraballo, Julio Plaza, Lenora de Barros, León Ferrari, Letícia Parente, Liliana Porter, Luis Camnitzer, Luiz Alphonsus, Lygia Pape, Marcelo Brodsky, Montez Magno, Paulo Bruscky, Regina Silveira, Regina Vater, Roberto Jacoby, Umberto Costa Barros, Victor Gerhard, Victor Grippo and Waltercio Caldas.